Authentic best describes this Chisel style Men's ID bracelet. 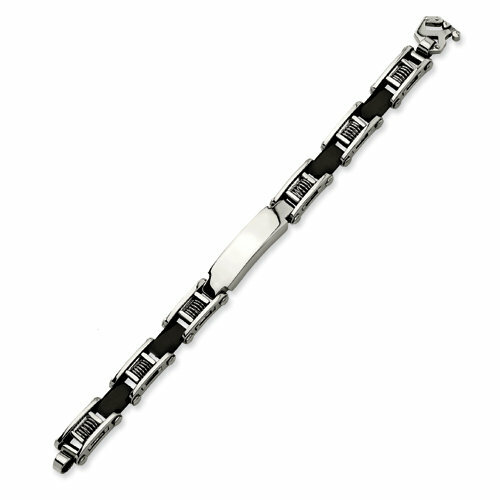 This Men's ID bracelet is 8.75" long and features a white spring and black rubber pattern. A black and silver design allows for a fine design that makes this Engravable Men's ID bracelet stand out from the rest. Engrave his name, initials or short text and allow our expert engraving staff to take it the rest of the way.